I remember the first time I saw a QR-code scanning app at the Google Play market. At that time, QR-codes were mostly used to show the product details, transfer contacts to a mobile phone, or represent a discount coupon. Today, the growing pace of online shopping has given rise to new fintech opportunities for those small pixelated squares. Their convenience for mobile payments is currently being tested by millions of customers and retailers all over the world. The charm of its novelty is coupled with the ease of use. What you need is a smartphone with a camera, and an app able to scan, store, and share QR-codes. There are three main payment types where QR-codes are applied. All of them already function pretty well in China where cash transactions have almost been forgotten. Retailers scan your code. The personnel of the store enters a sum to pay at the checkout. You open the payment app and show your personal QR-code. It represents your personal account with a mobile wallet or linked credit cards. The cashier scans the QR-code and the required sum automatically transfers. You scan the retailer’s code. The retailer offers its unique QR-code which you scan. The app identifies the seller so that you see it’s a trusted party. Then you enter the required sum to pay. For some apps, additional confirmation may be required. 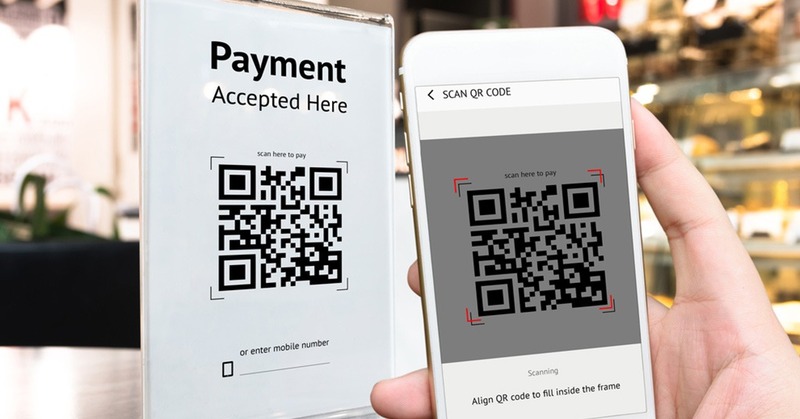 Some store chains develop separate apps with QR-scanning function. P2P transactions. Sometimes you need to pay individuals, whether they are self-employed professionals who provide you services or just friends who lent you money. It’s possible to do with the help of QR-codes as well once you both use a suitable app. 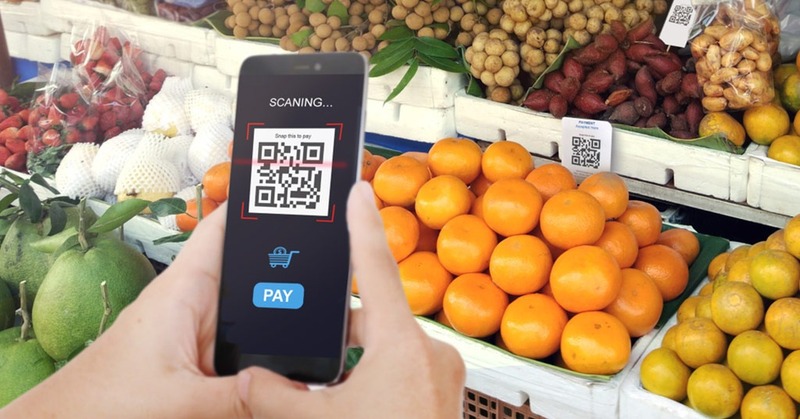 QR-codes are a good solution for mobile transactions for a few reasons: you don’t need to use any additional equipment; they are quick and effortless; payment procedure is flexible and can be done remotely; if it’s used for online transactions, no credit card details need to be inserted; you don’t need to carry your wallet or credit cards around. Some businesses have already acknowledged the convenience of QR-codes. They have upgraded their interactions with customers to make them smooth and automated. Below are some examples of the services actively using QR-codes and not only for payments. 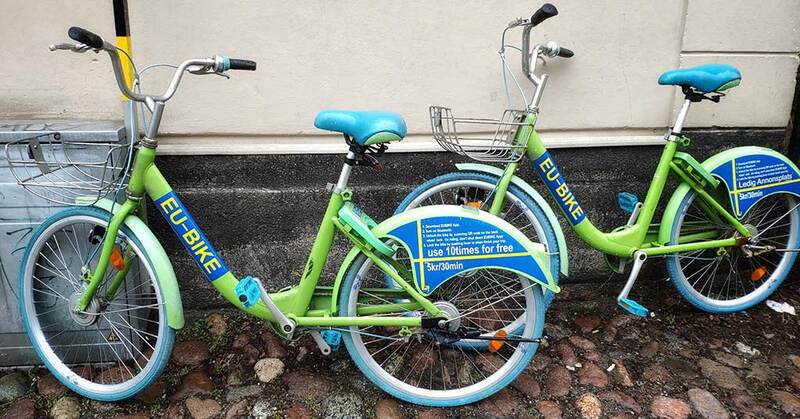 EU-BIKE. This is a bike-sharing service founded in Sweden. A person who downloads the EUBIKE app needs to turn on Bluetooth on their phones. They can find a nearby bike available for rent with the help of the locking GPS device installed in the bike’s lock. Then they scan a QR-code on the back wheel lock and take the bike for a ride. The app should be on while riding for real-life GPS tracking. When the trip is over, they simply push the lever of the lock in again. It is ready for the next client to use. There is also a chance to get the first ten rides free for those who share this service via social networks. Zippin. A brand new concept convenience store in San Francisco offers fresh lunch items, snacks, and drinks. The store has no cashiers or checkouts at all. It works on an AI-driven software platform. Visitors scan the QR-codes at the entrance, then they do their shopping and simply leave. Motion cameras register all purchases, the virtual shopping cart calculates everything, and the receipt appears in the mobile Zippin app. Garbage Disposal. 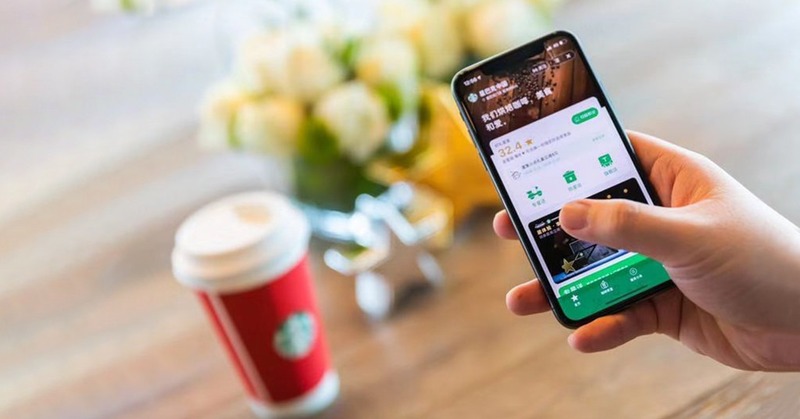 In Hangzhou, China, residents take advantage of QR-codes to learn to segregate their trash properly. They have two sets of garbage bags, each with a unique QR-code. Some of the bags are for food waste, while the others are for domestic waste. At the collection point, trash bins have the scanners installed. People bring trash bags near the scanner and the right door opens for them to dispose of that waste. Later on, the bags are checked. Residents, who sort their waste correctly earn bonus points. They can use them to buy things at online supermarkets. Wrong items in a bag subtract some points from that resident’s personal account. Keep Me Safe IDs. The initiative of ID bracelets where QR-codes encrypt the personal information was initially aimed to help children with autism who often wander off and lose their parents. Passers-by can scan the QR-codes with the relevant app and contact their parents. Today, the creators aim to expand the system’s use to old people with Alzheimer’s disease, people suffering from epilepsy, diabetes, or dementia. In perspective, more medical information can be encoded in such ID-bracelets. It will help provide personalized care even for unconscious patients. It can also facilitate identification of accident victims etc. Walmart. The biggest US retailer reduces its expenses in order to keep charging low prices for products on sale. 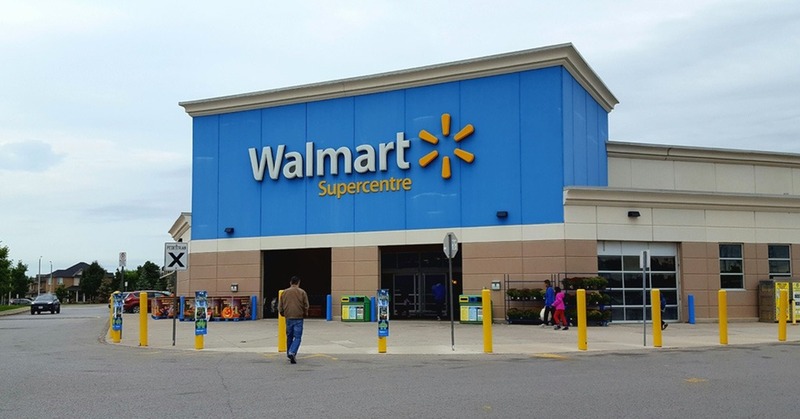 The customers scan the QR code on the checkout lane with their Walmart Pay app to pay for their goods. Uber JUMP Scooters. Electric scooters can be used for traveling around cities via the Uber app. Users can either reserve a JUMP scooter beforehand, or perhaps come across one and decide to take a ride. Anyway, all they have to do after is scan the QR code on the handlebar using the Uber app to unlock it. After the ride, the customers should park near a bike rack in one of the parking zones, the list of which can be found in the Uber app. Starbucks. The coffee chain has optimized QR-payments so that their customers pay with Starbucks cards loaded in advance. They also use them to earn Stars that give them free drinks. In 2017, Starbucks started using QR-codes for augmented reality experiences as well. The first Starbucks Reserve Roastery in Asia situated in Shanghai offered a close look inside the roasting cask. The visitors can see how it all works and earn virtual badges by scanning QR-codes all over the place. Those help to receive a custom Roastery social media filter to share. Coffee-making has become a digital performance this way. The customers mesmerized by the coffee bean magic should not spoil the impression by standing in queues. The ordering and payment processes are automated and can be made at any corner of the Roastery. Dunkin Donuts. Their app uses QR-codes to pay for the orders. Customers can place mobile pre-orders and pick them up in-store. The ordering process is highly customized so the customer can choose the quantity of ice, sugar, or caffeine in their drinks. The app offers a loyalty program with earned points which can be redeemed or saved for free drinks. Amazon Go and Whole Foods. Their automated stores use QR codes to log the customers going in and out. The in-store sensors track items in the cart at checkout. The customers walk out of stores without any lines. The amount is debited from their Amazon accounts. Moreover, Amazon Prime members scan their unique QR-codes at Whole Foods’ checkout to receive their 5% special discount. Tesco. Their first smart store opened in the South Korean subway in 2011. It had a large screen with the goods’ selection. People scan the QR Code featured next to each product adding them to their virtual cart in the Tesco Homeplus app. The order would be processed by the store managers quickly. The products would then get delivered to the customer’s doorstep.